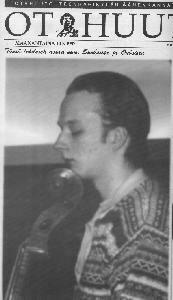 I and some other fellows are making a pig-show in the Spex's pre-Xmas party97. 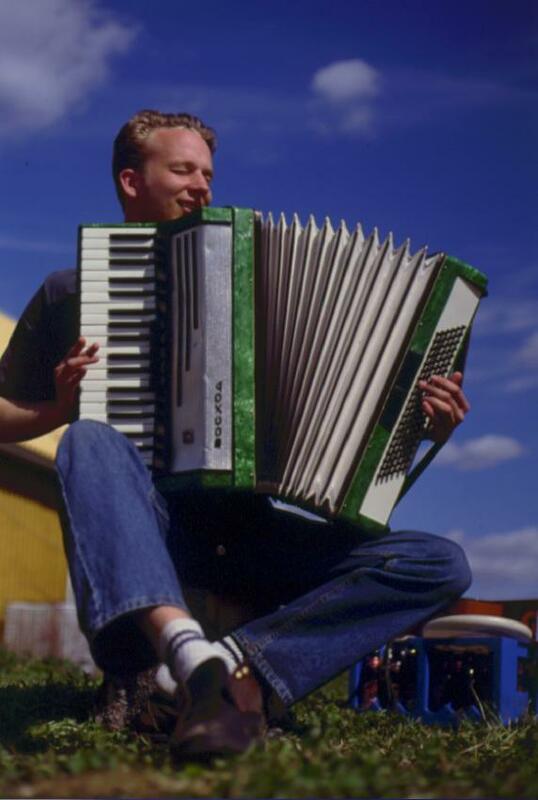 Here I am playing an accordion at the Spex's kaato97. The Front Page of Otahuuto 4/97, 10.3.1997.